When I visited Hikone, I decided I didn’t need to spend the night there as I could easily head back to Nagoya. I was on my way to Ise at the same time so it logically made sense to spend the night in Nagoya. There was a lot more to see and do there at night so I figured it would be best to go there. I was looking for a hotel and while most of the cheaper hotels were on the west side, the nicer neighbourhood was on the east side. I focused on looking for an inexpensive business hotel that would suit both mine and my parent’s needs. I found the MontBlanc hotel which was perfect. Located just a few minutes from Nagoya Station I was soon booking the hotel. The MontBlanc Hotel is located just north east of Nagoya Station. When you come out of Takashimaya, on the north side, you just cross the street and walk north for 1 block and you are pretty much at the hotel entrance. 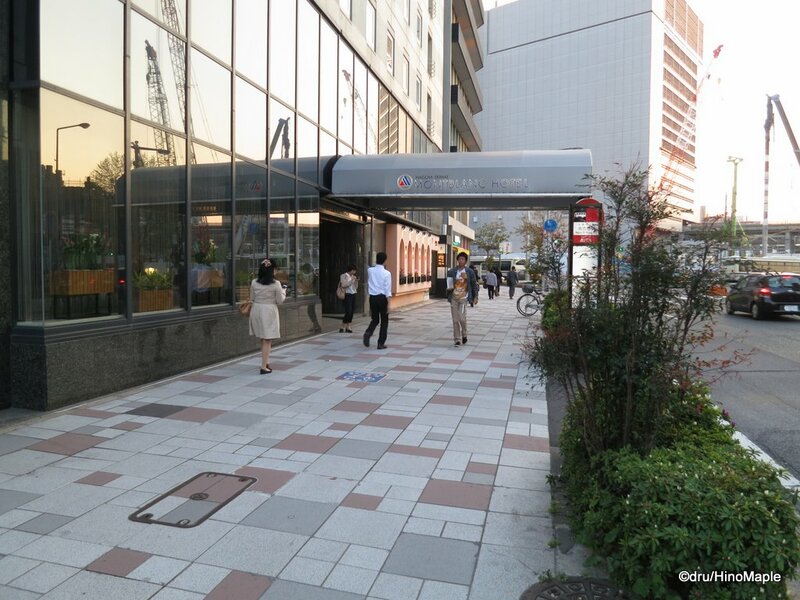 It takes no more than 5 minutes to get to the hotel from Nagoya Station and Takashimaya is right there too. The location of the hotel was perfect, although there are a lot of hotels in the area too. It was located just near a dining district with a lot of restaurants and there was a convenience store (SunKus) just next door. If I was spending more than a night in Nagoya, I would have stayed around the Sakae district as they usually have a better night life over there, but since I was only spending a night and leaving in the morning, I decided Nagoya Station was the better option. The rooms of the hotel were a bit more cramp than I was used to. I often get small rooms but this room was a bit smaller than usual. 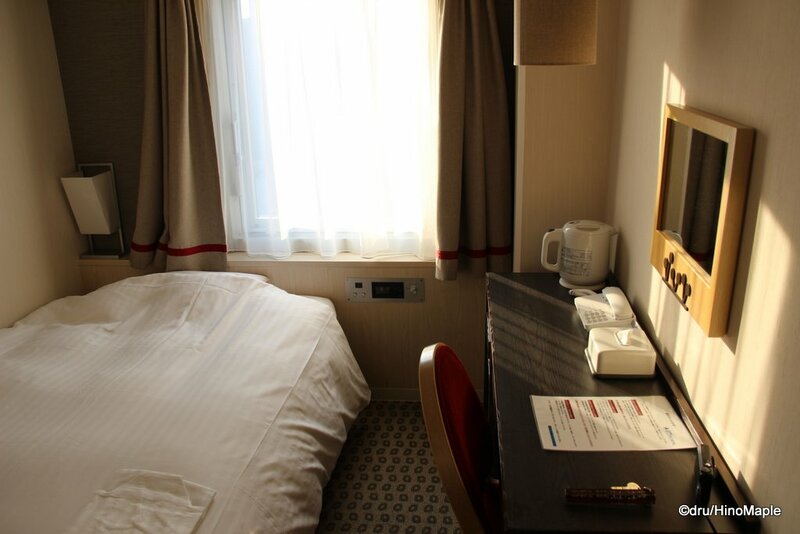 Toyoko Inn has bigger rooms as this room was just big enough for a single bed, a small desk, and a chair. It wasn’t bad as everything was pretty standard. Thankfully the hotel had been refurbished in 2010 so everything still looked new enough. The rooms had windows that opened a little but being so close to the station and a major road meant that it was too noisy to open the window. It was still quiet inside the room so that I could sleep well. In terms of amenities, there really isn’t much to say. If you have ever been to a business hotel, or any other standard hotel, you get everything you need from soap to shampoo. You don’t really need much else and you can survive on the little things they give for free such as the toothbrush and razor, although I almost never use hotel razors. The MontBlanc Hotel is a good hotel to stay in. I didn’t have any problems and they were pretty good overall at helping me. There really isn’t anything different between this hotel and a Toyoko Inn or Super Hotel. You may have a few more amenities at the Toyoko Inn or Super Hotel but you may also pay a little more for that. 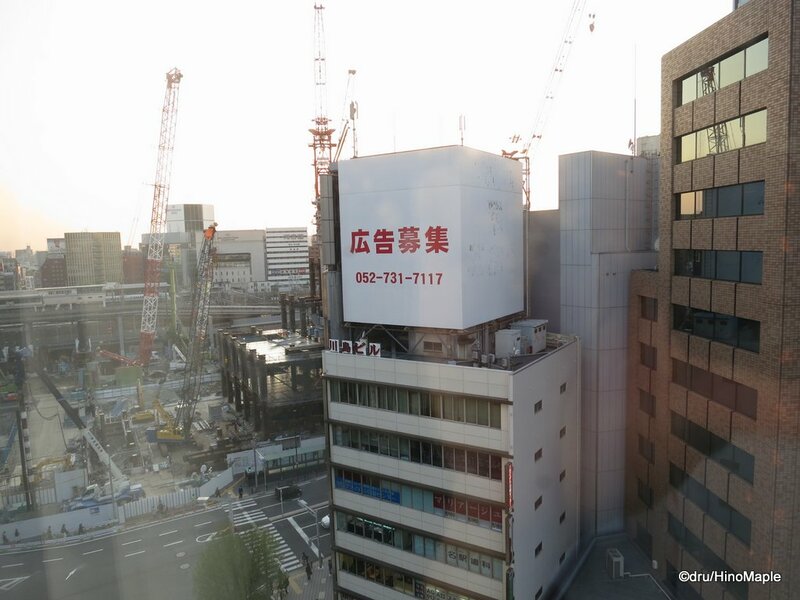 If you are looking for the cheapest rate, and if the MontBlanc is cheaper than the Toyoko Inn or Super Hotel, then you should book the MontBlanc. In terms of their ability to speak English, I can’t really say as they never attempted to speak English to me and I almost always use Japanese. It is just how I roll. 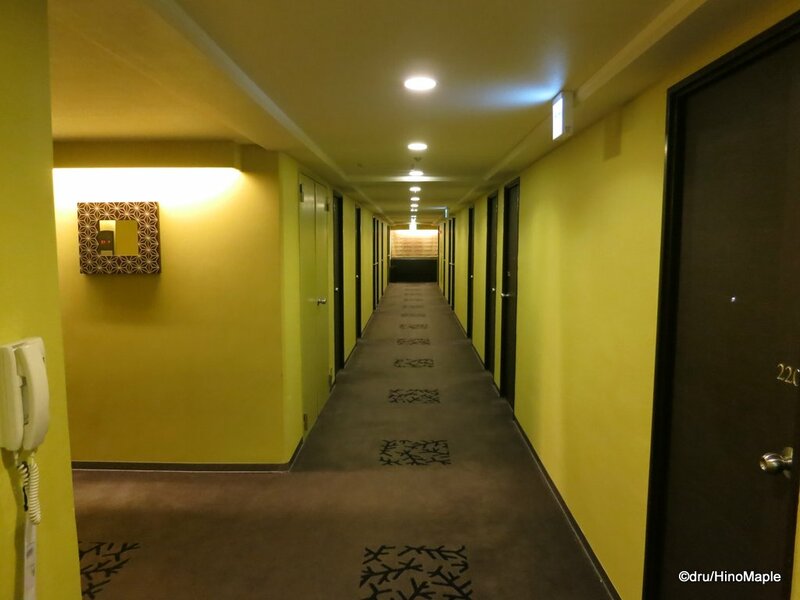 Comparing the location, if you are just making a pit stop in Nagoya, this hotel is more than adequate to suit your needs. This entry was posted in Chubu, Hotels and tagged hotel, japan, Mont Blanc, Mont Blanc Hotel, MontBlanc Hotel, Nagoya by Dru. Bookmark the permalink.